In places that see a constant stream of activity with an often unpredictable number and dynamic of people, security is extremely important. One of the greatest tools for keeping security high is video surveillance. Specifically, hotels and casinos are under these circumstances each and every day as thousands of tourists and guests flow in and out of their properties. To have anything less than the highest level of technology for hotel security systems to monitor movement has the potential to result in dangerous situations and to allow criminal activity to escalate. In order to strengthen and upgrade their own surveillance and security systems, the Sunset Plaza Hotel, located on the famous Sunset Strip in Los Angeles, California, installed an IP system developed by Hikvision USA, Inc. A leading provider of artificial intelligence, machine learning, robotics and other developing technologies, Hikvision USA, Inc. has become the world’s largest manufacturer of video surveillance products and solutions. Tailored to fit their exact needs, Hikvision provided the Sunset Hotel with a cutting-edge system that would deliver a great deal of coverage in various environments around the premises. This included cameras that would produce high-quality images and an interface system that was easily utilized by employees. As a provider of quality, custom commercial security and business security systems, we at Ivanco, Inc. are proud providers of Hikvision USA, Inc. systems. We encourage our clients in the hospitality industry such as hotels and motels to install these high-powered, innovative systems to monitor activity on their premises. Points of entry – both those utilized strictly by staff as well as those used by the public – should be under constant video surveillance. So, too, should interior areas including hallways, conference rooms, meeting rooms and exterior locations such as swimming pools and parking lots. Such diverse and thorough areas of coverage better deter the commission of criminal behavior in addition to providing security footage of any activity in progress and any incidents that might result in liability cases. The higher the degree of precision and clarity in image quality, the better the surveillance will serve their purpose. We assess the needs of our clients in the hotel industry to create ease of use, allow remote access to monitoring by approved personnel and provide full coverage of all necessary areas. As experts in our field, we recognize areas of vulnerability to develop a plan that will strengthen security – thereby ensuring a safer guest experience and a reduced rate of crime on the premises. At Ivanco, we are constantly searching for better, more advanced technologies that will meet the various needs of our clients, and we feel confident that the quality and innovation of Hikvision USA, Inc. systems provides us with the means to more fully achieve our mission. 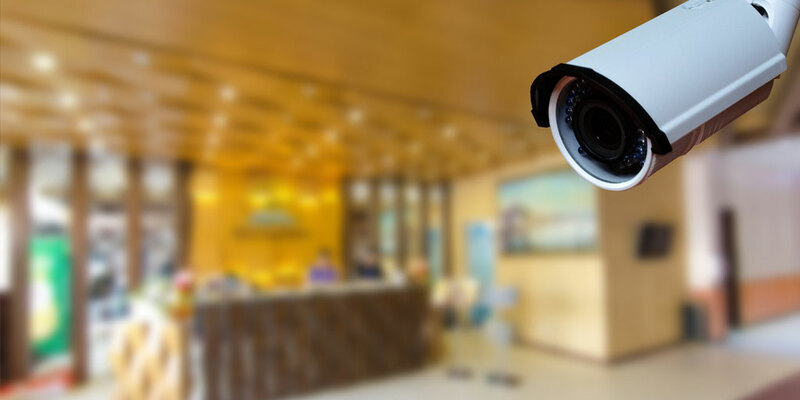 Increase the clarity and quality of your hotel’s video surveillance system! Call the team of experts at Ivanco, Inc. to learn more about our Hivision USA, Inc., security solutions today!